Can a herbal tea help you lose weight? According to Young You International their Easy E-Z Herbal Tea is a weight loss tea that contains “powerful weight loss ingredients” that cleanses the body whilst suppressing your appetite. When all of these functions are activated by drinking herbal tea, you will lose weight. There have been a number of diet programs that have come and gone. Some are gimmicks and others are not. Green tea stands out in the sea of weight loss products because it really does have the potential to help you to drop a few pounds. The mixture of all-natural herbs combine to boost your metabolism, curb your appetite, reduce stress, support your immune system and flush toxins from your system by eliminating water retention. When all of these functions are activated by drinking herbal tea, you will lose weight. Young You International states this product will reduce your hunger for up to six hours and recommends drinking one to two cups of this tea per day. They also suggest that those servings follow breakfast and dinner for the best results. Online reviews of this product are heavy on praise with many speaking highly of the results in weight loss but also in reducing symptoms of other health issues. One user of Easy E-Z Herbal Weight Loss Tea states that not only have they lost weight (seven pounds in five days) but they also experienced a reduction in blood pressure. Another online reviewer pointed to losing weight and the lowering of cholesterol as a side benefit from using this product. 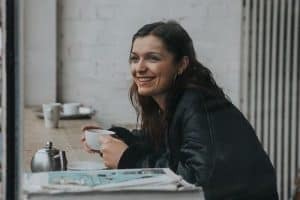 Both men and women have found that this green tea can assist them with weight loss goals however, like all products; the results will fluctuate depending on the individual and their entire health and lifestyle. As an example of the different results this weight loss tea can have; one customer stated that after drinking this green tea based product for six weeks she lost eight pounds while her husband was able to shed fifteen pounds over the same time frame. There has been a lot of evidence from consumers that verifies the weight loss possibilities that can result from drinking green tea. The herbal tea mix can assist your health in various ways from not only losing weight but by reducing water retention, increasing metabolism and suppressing appetite; all of which will contribute to managing your weight over time. However, real solid results are possible when this product is used in conjunction with a healthy diet and some form of exercise; which should be the basis for any long term ongoing health management program. 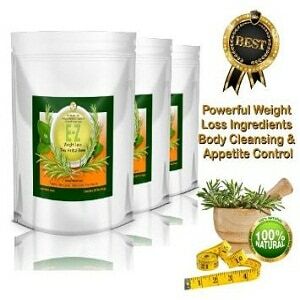 Young You International manufactures this green tea along with an assortment of herbal/weight loss products. They recommend best results can come from drinking this tea twice a day after breakfast and dinner. Online reviewers report not just weight loss while using this product. There are also reports of lowered blood pressure and cholesterol. We feel this product has been proven to bring results to those seeking weight loss assistance but recommend using it with other forms of weight management for best results. A one product alone will not be the weight loss wonder or ‘magic pill’ when other areas of your life and diet do not support healthy habits. If you are looking for that kick start to your diet program, this herbal tea that nature has given to us is worth incorporating; and can be easy to do just by swapping your brew for this weight loss tea.